The voices of nearly 100 men, singing a cappella in four-part harmony, makes for a powerful sound in any setting. Bring that sound to a historic site that epitomizes service, sacrifice and heroism and the experience promises to be memorable. 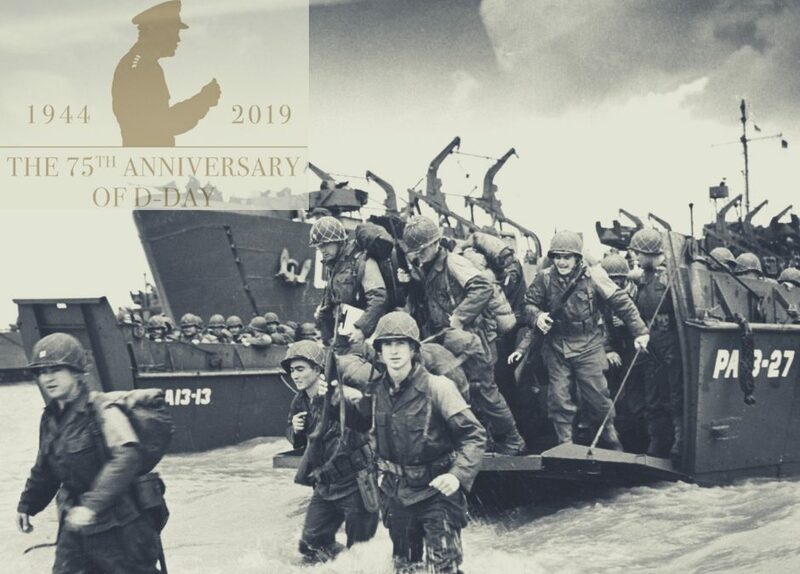 This June, Sound of the Rockies has the distinct privilege of performing at the 75th anniversary of D-Day ceremonies in Normandy, France. As the only vocal ensemble representing the United States at the commemorations, the chorus is already in full preparation for a world-class performance. “It’s an incredible honor to be the musical voice of our country at these solemn ceremonies,” said Bruce Henson, who is heading the trip effort for Sound of the Rockies. SOR was invited in 2017 by event organizer Historic Programs after the group was recommended as having the caliber and experience appropriate for the event. “Our job will be to perform for world leaders, the French citizens who sacrificed so much, and for visitors assembled to pay tribute to those served,” said Bruce. For the 86 singers signed up for the trip, it’s an opportunity of a lifetime. 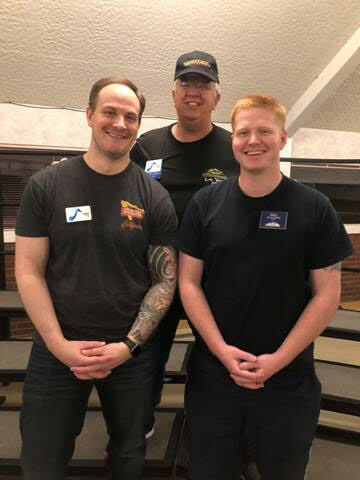 Chorus members Adam Mahan, Kevin Pape and Will Schoonard (L to R). All three served with the Marines and look forward to honoring the ‘Greatest Generation’ at Normandy. Adam served for five years of active duty in the Marines with two deployments, including one to to Iraq in 2004, as an Arabic linguist in Signals Intelligence and a Light Armored Vehicle crewman. D-Day began as Allied forces stormed the beaches of Normandy the morning of Tuesday, June 6, 1944. The largest seaborne invasion in history, the operation led to the liberation of German-occupied France and eventually Europe, laying the foundations of the Allied victory on the Western Front. It ended with an estimated 10,000 Allied casualties and more than 4,400 deaths. Understanding that this year may mark the last anniversary ceremonies that survivors of D-Day will be able to take part in, makes it an especially meaningful milestone ­– one that Adam Mahan did not want to miss. He and his wife began planning and saving as soon as he officially joined the chorus so that she can join him for the experience. In addition to the singers, about 120 SOR family members and friends will be traveling to France. Over the anniversary days, Sound of the Rockies will perform at wreath-laying ceremonies at the American cemeteries at Brittany and Omaha Beach with the University of Texas Band as well as at the D-Day Memorial Parade in St. Mere Eglise, the first town liberated by the Allies. According to Historic Programs, about 75,000 visitors are expected to be on the Normandy Peninsula during those days. Before returning to the U.S., SOR also will sing at Luxembourg Gardens in Paris. Thank you to our friends and fans who have already made gifts to help Sound of the Rockies fund the Normandy trip. The chorus must raise $40,000 to cover expenses, even with the majority of chorus members paying their own way to France and back. Through the generosity of many, we are nearly halfway there! Please consider supporting this effort as we make the final push for June.